Microsoft now extends the boundaries for the Xbox Music app after it debuted a year ago. Now it has been made available for both the iOS as well as for the Android users. This app will soon be available at their respective marketplaces. Xbox Music will allow its users to get access to its 30 million tracks available. 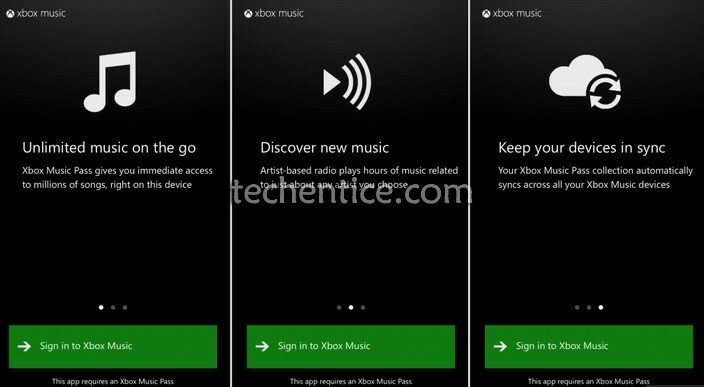 However it will require users to have Xbox Music Pass which is priced at $9.99 per month and $99.99 per year. The features include personalization of playlists which can sync to other devices on Xbox 360, Windows 8 and Windows Phone 8. In the web version, Microsoft plans to add a radio feature later this year. Another feature of the web version of the app is free web streaming on Xbox Music and it promised to bring the offline mode in iOS and Android platforms in the coming months so that users can download tracks for offline listening. However the unlimited version of web streaming will last for six months and after that Microsoft will restrict the hours of free streaming and can get unlimited access after a paid subscription only. The purpose of designing this app to solve the common problem where people use different devices like phones, tablets, PCs to access different music services that do not connect with each other. Thus Xbox Music brings all the music with free streaming on the web and on Windows 8 PCs, tablets and phones with ability to sync and now this also extend to iOS and Android devices. In addition to this, Microsoft also introduced an update to Xbox Music for Windows 8.1 which includes a new Web Playlist feature. This tool will scan for artist’s mentions on a given web page and will create a custom playlist of their music. Also the Bing Smart Search app is said to be integrated in the app. The collaboration of Bing and Windows will provide the user with tons of search result about their favorite artist and selection of any track in the Bing search result will play the music instantly in Xbox without having to switch in between apps.